Looking for a fascinator? Marita’s has them! 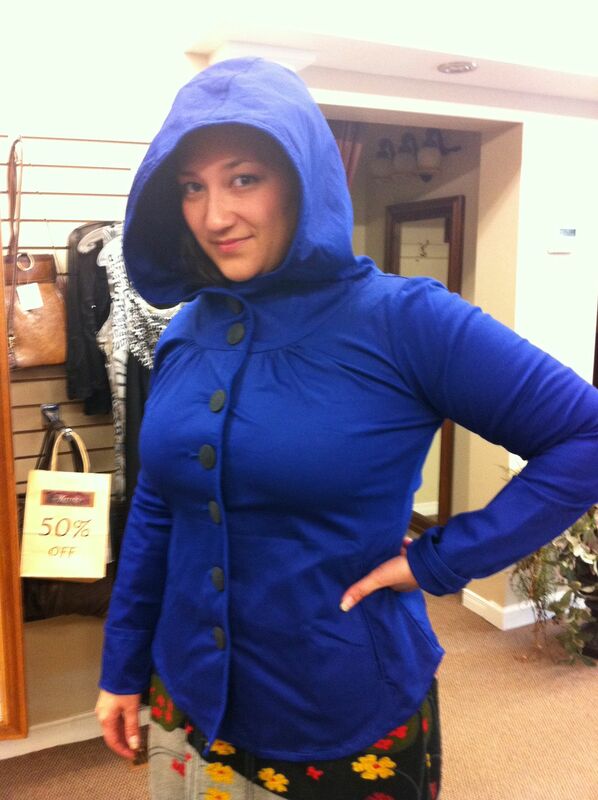 You just never know what you might find when shopping at Marita’s Fashion Boutique in Clinton. 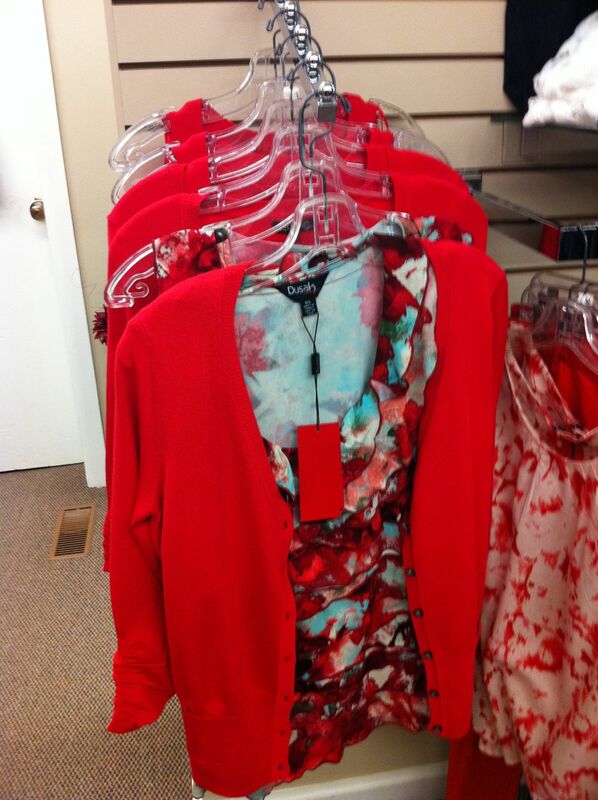 While on a quick shopping trip we thought we would check out the new stock at this great women’s clothing store. The front window was lit up with bright spring colours of red, orange, blue and white and we knew there was going to be something for us. 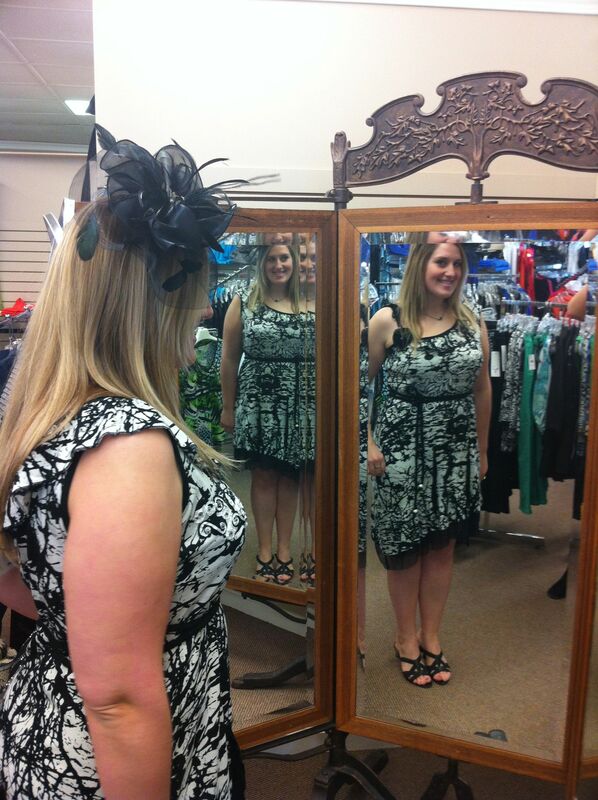 While looking at all the great fashions we found some great dresses and, the best part, beautiful fascinators! 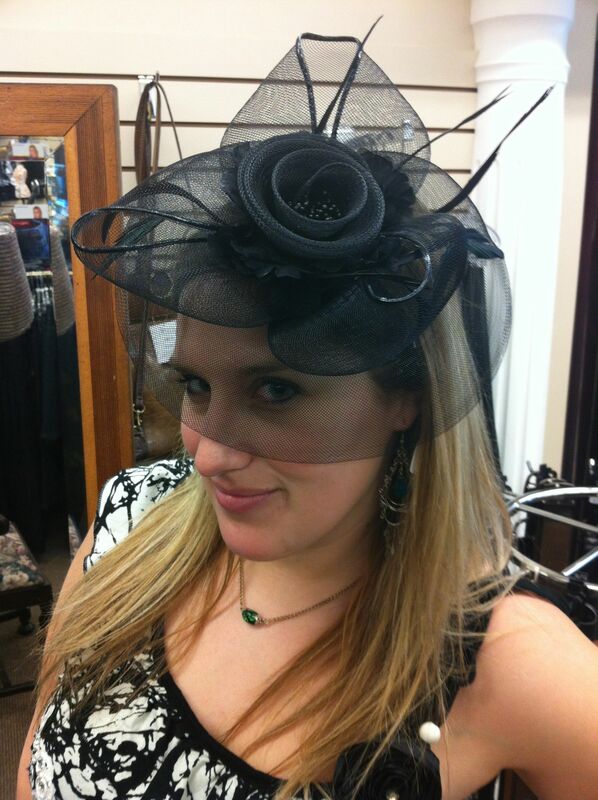 We have been looking for great head pieces for when we head to the live races at the Clinton Race track. Jenna ended up buying the whole outfit, she just couldn’t resist. 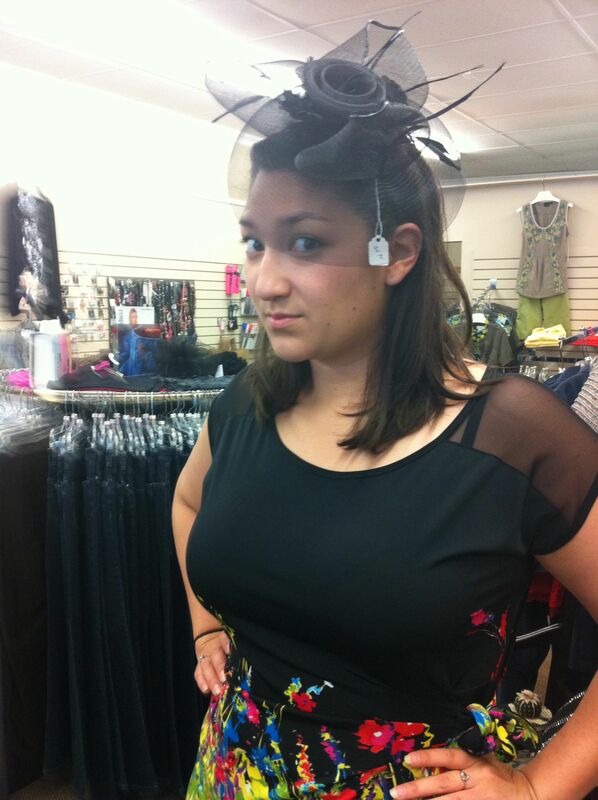 The prices were excellent, the dress was $60.00 and the fascinator was $24.95. 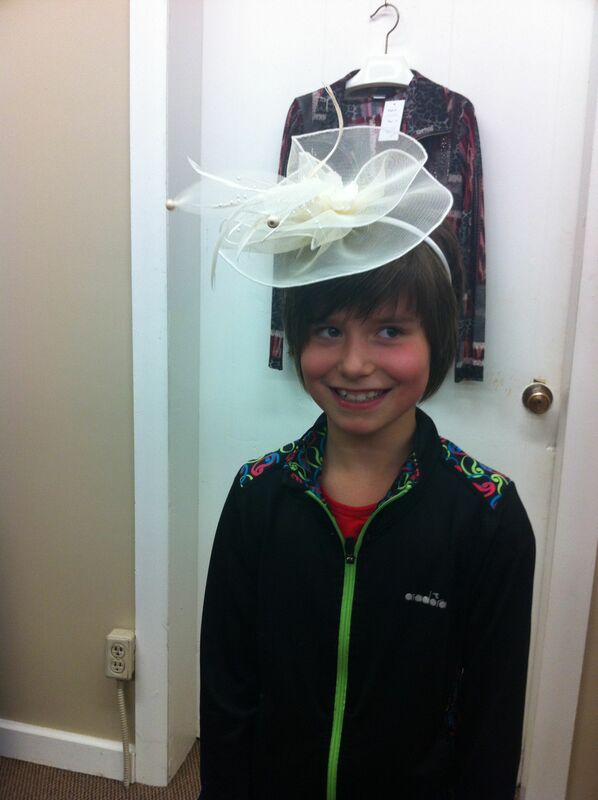 We even found a little friend who like the fascinators as well and she modeled the white one for us! Maegan tried on a great dress and is still contemplating on whether to go back and buy it. 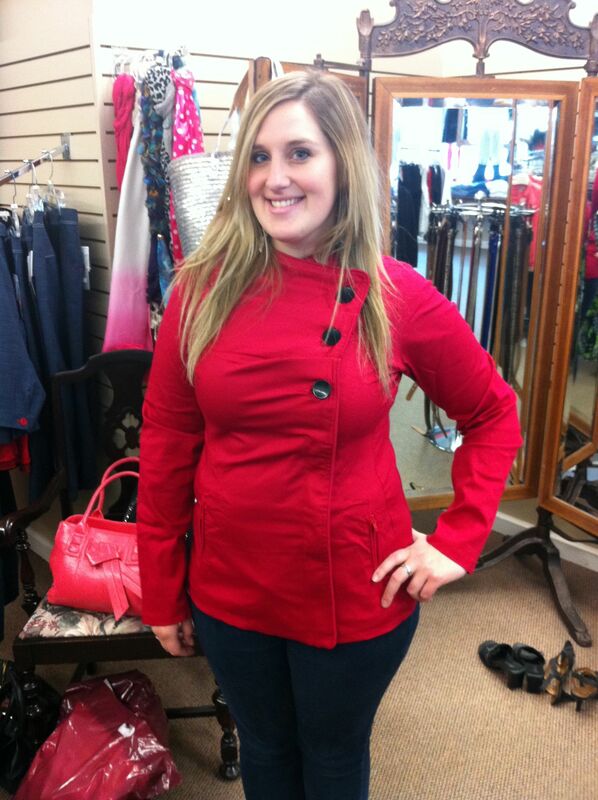 Just as we were about to leave we found these great spring jackets in blue and red… our favourite colours! They weren’t even out on display yet, but they allowed us to try them on. We didn’t buy them, but will likely return next week to get them, as they won’t be there for long! 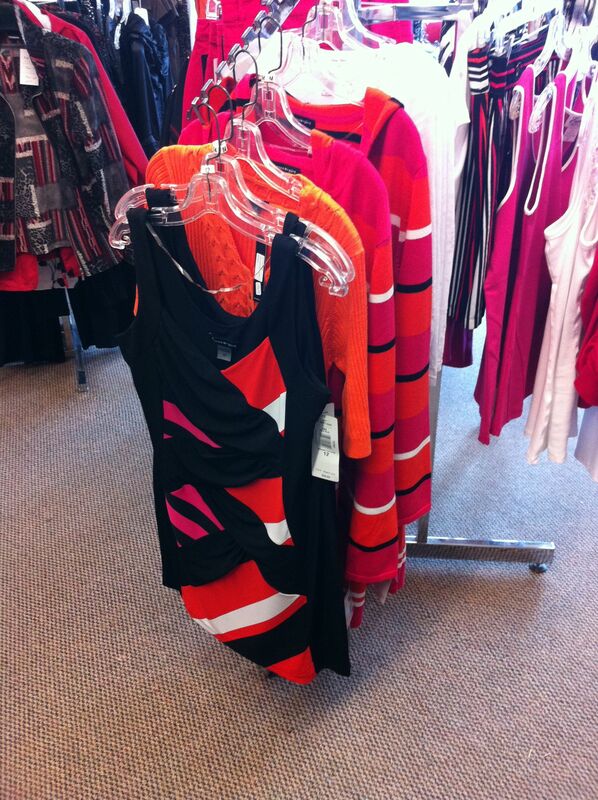 If you are looking for a new piece to add to your wardrobe, Marita’s probably has it. They are located at 15 Victoria St, Clinton, ON. ← Some great deals in Clinton! Great writeup about a great store! Thanks! It is a great store!